Welcome to the Keuper Gas Storage Project (KGSP) website. Here you can find out information about the proposed development and keep up to date with the latest news. 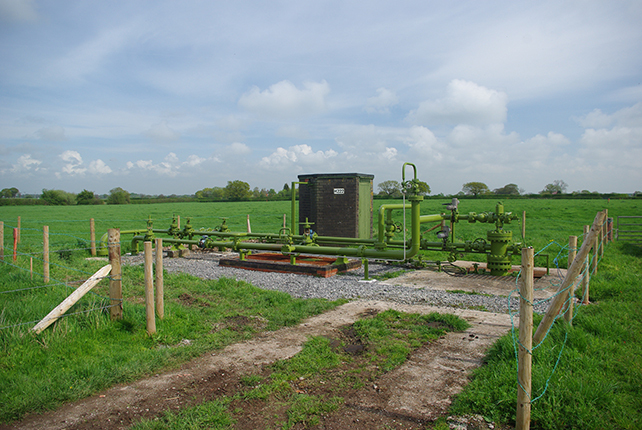 Keuper Gas Storage Limited (KGSL) is proposing to develop a new underground gas storage facility and associated development at the southern end of the Holford Brinefield and surrounding area, to the north of Middlewich in Cheshire, adjacent to existing gas storage facilities. The proposed development would involve creating underground cavities in salt rock that would be used to store natural gas to help meet our growing energy needs in the UK. Because of the project’s importance in helping the UK meet its increasing energy needs, the KGSP is classified as a Nationally Significant Infrastructure Project (NSIP). This means that rather than going through the local authority like most planning applications, the KGSP requires a Development Consent Order (DCO) from the Secretary of State for Business, Energy and Industrial Strategy (BEIS). This process is managed by the Planning Inspectorate. The KGSP has a webpage on the Planning Inspectorate website. For information about the proposed development, download the Proposal Summary Document from the ‘Library’ page by clicking here. Following a lengthy pre-application period, an application for a Development Consent Order (DCO) for the KGSP was submitted to the Secretary of State (via the Planning Inspectorate) on Tuesday 24th November 2015. The Application was accepted for examination on 22nd December 2015. All documents submitted as part of the DCO application are now available to download from the Library page of this website. You can also view all project documentation on the Planning Inspectorate’s National Infrastructure Planning website, with a dedicated page for the KGSP available to view here. The Examining Authority completed its examination of this application on 16th September 2016. The Examining Authority will now report to the Secretary of State for Business, Energy and Industrial Strategy on or before 16th December 2016. The Secretary of State for Business, Energy and Industrial Strategy has granted on 15th March 2017 a Development Consent Order (DCO) for Keuper Gas Storage Limited to build an Underground Gas Storage Facility, and associated development at the Holford Brinefield, north of Middlewich, Cheshire. KGSL will now consider the details of the consent and the implications of any conditions included. Keuper Gas Storage Limited is a wholly-owned subsidiary of INEOS Enterprises Group Limited; set up to allow the delivery of the proposed development. Keuper Gas Storage Limited is the Project Developer and is applying for the consent to build the Project. In July 2015, INEOS and Solvay announced the start-up of a Joint Venture, INOVYN, which includes the Chlor Alkali business at Runcorn, now known as INOVYN ChlorVinyls Limited and the Brine & Water business at Holford, Northwich, now known as INOVYN Enterprises Limited. INOVYN Enterprises Limited is the land owner and would be responsible for the solution mining of brine to facilitate this proposed development. INOVYN Enterprises’ Brine & Water Business, and its predecessors, have been solution mining the Holford Brinefield for over 80 years and has over 20 years’ experience in the underground storage of natural gas. INEOS and INOVYN haves strong ties in the region and employs over 1,000 people in Runcorn and Northwich and produces a range of essential chemicals for use by industry in the UK and overseas.